Fitness Tracker HR, Vibing Activity Tracker Watch with Heart Rate Monitor, Waterproof Smart Bracelet with Calories Counter Pedometer Watch for Kids Women Man. Operating System: Android 4.4 & iOS8.0 or above. 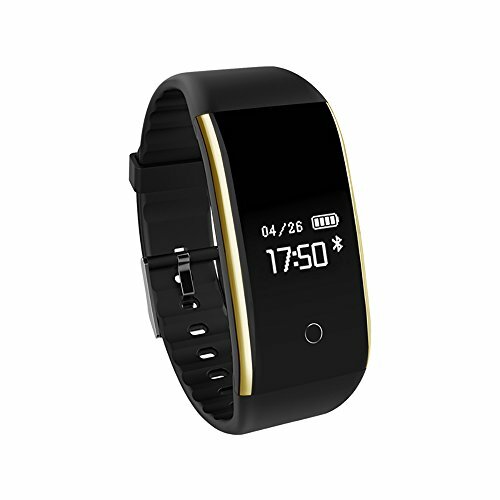 SMS, SNS, phone caller, etc can be sent to Vibing Fitness Tracker Watch screen on time, to remind and display content. Monitoring your heart rate continuously through Vibing Fitness Tracker Watch, better record calories consumption and gain a better understanding of your health. Automatically record your sleep quality when you wear Vibing Fitness Watch at night, and then check your deep duration,light duration and more data in your FlagFit App. If you have any questions about this product by Vibing, contact us by completing and submitting the form below. If you are looking for a specif part number, please include it with your message.